BUSINESS AND REAL ESTATE FOR SALE – Nice, clean, turn-key operation at a great location! This is an exciting opportunity for you to be your own boss and acquire this profitable business. 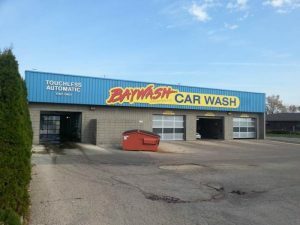 Located on one of the busiest corners on a major highway in the growing City of Stoughton, this turn-key business is all ready to go! Owners are looking to retire. Priced to sell at $574,000. 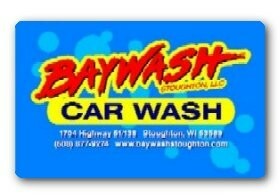 E-mail carwash@baywashstoughton.com for more information. Monday – Friday 8:30 a.m. to 12:30 p.m.
Saturday – Sunday 8:30 a.m. to 2:00 p.m.